WE ARE PROUD OF BODYGUARD SERVICE IN ISTANBUL. BODYGUARD SERVİCE IN ISTANBUL IS OUR JOB. 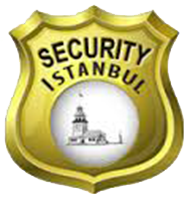 WE KNOW THAT THE BEST SECURITY COMPANY SECURİTYİSTANBUL OF OWN ON . FIRST OF ALL WE ARE WORKING TO MAKE TURKEY BEST BODYGUARD SERVICE THAT COMPANY . 17 YEARS OF EXPERIENCE WITH SERVICE BODYGUARD MAKE A DIFFERENCE TO OUR PROFESSIONAL TEAM IS THAT WE WANT YOU TO KNOW . BESIDES NEAR ANY SECURITY PROTECTION SERVICES CONSULTANCY WE OFFER . OUR GUESTS FROM ABROAD , WE TOGETHER ALL SAFETY-RELATED MATTER WITH YOU . WE OFFER ARMED OR UNARMED MALE OR FEMALE BODYGUARD SERVICES ACCORDING TO YOUR NEEDS. OUR COMPANY, ESPECIALLY ARTISTS, DIPLOMATS, BUSINESSMEN, VIP SERVICE, PRINCE, PRINCESS, KING, AS OFFERS SERVICES TO PRIVATE INDIVIDUALS. CLOSE PROTECTION SERVICES FROM ANYWHERE IN THE WORLD, WE HAVE MANY REFERENCES ESPECİALLY İN İSTANBUL. VIP HOTEL RESERVATIONS ARE ALSO OUR SERVICES. BODYGUARD SERVİCE İN İSTANBUL İS OUR JOB. APART FROM ALL THESE DO NOT HESİTATE TO CONTACT OUR FRİENDLY STAFF TO DİSCUSS AND PLAN FOR YOUR DESİRED TRİP BASED ON A FLEXİBLE AND CUSTOMİZED SCHEDULE THAT MEETS YOUR EXACT NEEDS. IF YOU ARE LOOKING FOR A QUALITY CLOSE PROTECTION COMPANIES SECURITYISTANBUL YOUR DISPOSAL. PERPA REGION IN ISTANBUL SISLI IS THE CENTER OF OUR COMPANY ARE SERVING IN ALL TOWNS AND DISTRICTS OF ISTANBUL. IF YOU ISTANBUL , TURKEY, TAKSIM , ETILER, BABY , ATATURK AIRPORT , ŞIŞLI AND OTHER AREAS CLOSE PROTECTION , CALL SECURİTYISTANBUL YOU ARE LOOKING FOR . FOR FOREIGN CUSTOMERS. SECURITYISTANBUL COMMISSIONED HAVING FULL AUTHORITY TO CARRY GUNS NEAR THE CLOSE OF THE OFESSIONAL STAFF IT CONSISTS OF FORMER MILITARY AND POLICE PROTECTION. ALL OF OUR STAFF MEMBERS IS LICENSED TO CARRY WEAPONS. WHATEVER THE SITUATION UNDER HAVE THE ABILITY TO DO RISK ANALYSIS UNDER EMERGENCY CONDITIONS, IDENTIFY POTENTIAL PROBLEMS, TO PLAN PERSONAL SECURITY, PROTECTION SERVICES CAPABLE OF PROVIDING THE NECESSARY SECURITY ENVIRONMENT FOR THE PERSON OR PERSONS ARE SELECTED FROM STAFF CLOSE PROTECTION CERTIFICATES AVAILABLE. SAFETY AND SECURITY CLOSE PROTECTION (BODYGUARDS) HAVE THE ABILITY TO APPLY THE APPROPRIATE PROCEDURES NECESSARY TO REDUCE STAFF AS A MINIMUM THE IMPACT OF EXTERNAL CIRCUMSTANCES.